A sense of enthusiasm and caution has overcome members of the P5+1 delegation following a historical discussion on Iran’s nuclear program on the sidelines of the UN General Assembly in New York. The next round of negotiations is scheduled in October. The meeting marked the highest-level direct contact between representatives of Iran and US in six years, as diplomatic relations between the two states broke down following the 1979 Islamic Revolution. For the first time, US Secretary of State John Kerry sat next to the Iranian Foreign Minister Mahammad-Javad Zarif in the company of the EU’s chief diplomat Catherine Ashton and delegates from the five permanent members of the Security Council plus Germany. The meeting chaired by Ashton proved to be "substantial" and has paved the road to a new set of negotiations of P5+1 next month. Speaking after the landmark discussions, Ashton told reporters that participants agreed to "go forward with an ambitious timeframe." 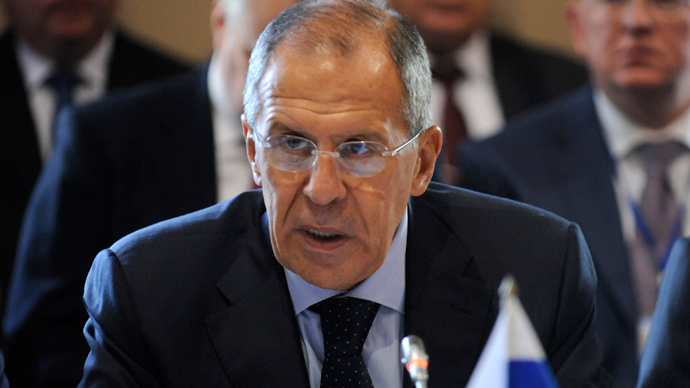 The negotiators on the issue will meet in Geneva on October 15-16. 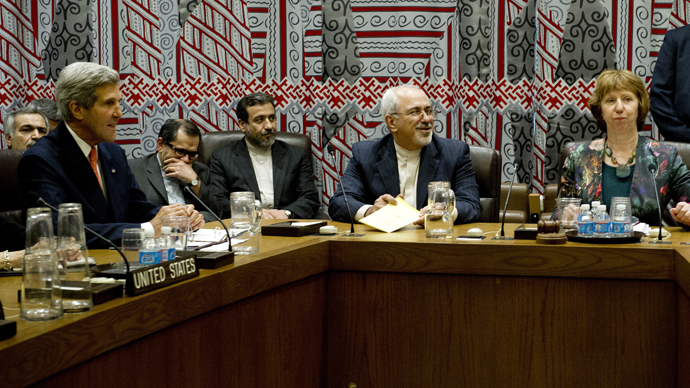 Kerry welcomed the new positive tone from Iran after meeting one-on-one with his Iranian counterpart. 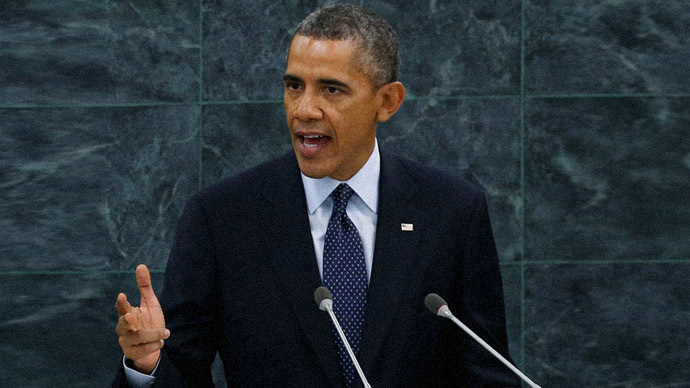 But he cautioned that one meeting will not resolve international concern about Iran's nuclear ambitions. He said more transparency is needed from the Islamic Republic. "Needless to say, one meeting and a change in tone, which was welcome, doesn't answer those questions yet and there is a lot of work to be done," Kerry told the press. British Foreign Secretary William Hague said there had been a "big improvement in the tone and spirit" compared with previous representatives of the Iranian government. German Foreign Minister Guido Westerwelle concurred, saying discussions had a "completely different tone, atmosphere and spirit" highlighting that a "window of opportunity has opened" to negotiate a deal. The Iranian foreign minister was also “satisfied” with the meeting, saying that the goal of Iran is the removal of sanctions. “Now we have to see whether we can match our positive words with serious deeds so we can move forward," Zarif told reporters. "Of course as we move forward, there has to be removal of sanctions and in the end game there has to be a total lifting of all sanctions and both bilateral sanctions, unilateral sanctions as well as multilateral sanctions and UN sanctions and we hope to be able to move in that direction within a short span of time." "Words are not enough," Westerwelle said. "Actions and tangible results are what counts. The devil is in the detail, so it is now important that we have substantial and serious negotiations very soon." With the change of the Iranian leadership, the US hopes to conduct new diplomatic rounds of negotiations which were started by P5+1 in 2006, but so far have ended in stalemate. "We hope that this new Iranian government will show that it is prepared to engage substantively to address these long standing concerns and we will see today and in months ahead whether they will follow words with action," US State Department official told AFP. 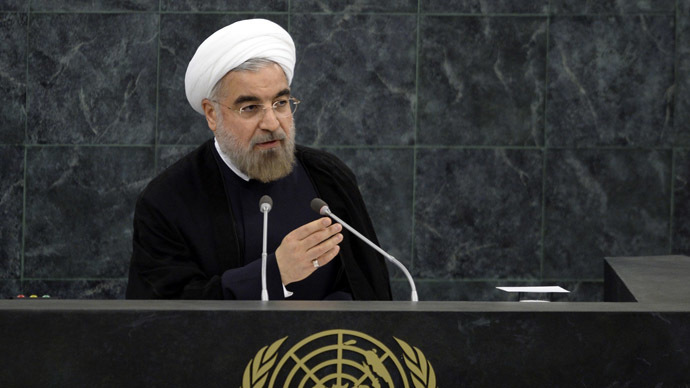 Iran, under the new leadership of President Rouhani has on a number of occasions showed the willingness to cooperate. 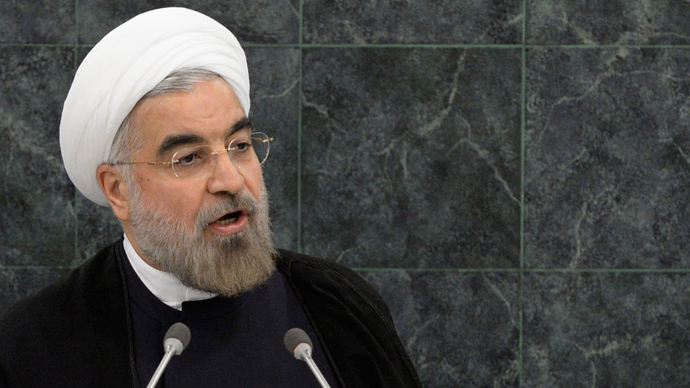 On Wednesday Rouhani hinted that a deal could be struck within three to six months. However, speaking to the UN General Assembly for the second time this week, Rouhani urged Iran’s nemesis Israel to sign the Nuclear Non-Proliferation Treaty and called for the creation of a nuclear-free zone in the Middle East. 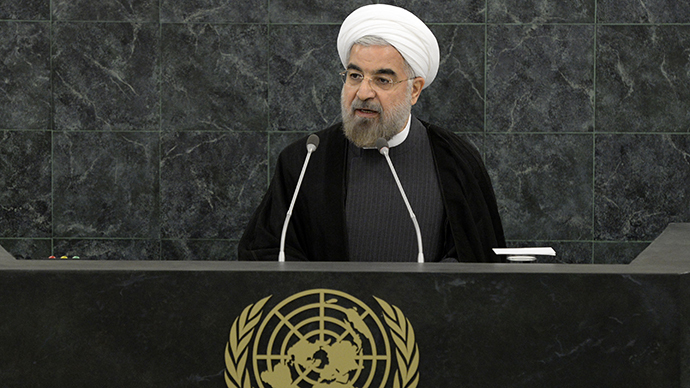 "No nation should possess nuclear weapons, since there are no right hands for these wrong weapons," Rouhani said. On Friday, Iran and the International Atomic Energy Agency (IAEA) held in Vienna what they called “constructive” talks about Tehran’s nuclear program. Reza Najafi, Iran’s newly-appointed ambassador to the UN nuclear watchdog, said the aim was to reach an agreement “as soon as possible”. The next round of talks is planned for October 28, the sides said. From a legal standpoint, Iran feels it has done everything it could, Georgetown University International law professor and Middle East expert Daoud Khairallah told RT. Khairallah says that Rouhani “appears as being a peace promoter," knowing full well that the Western media has raged a decades-old war against Iran. Iran and the P5+1 have held numerous rounds of negotiations beginning in 2006 surrounding Tehran’s nuclear energy program. The latest round of negotiations wrapped up in April in Almaty, Kazakhstan. An earlier round of negotiations was held there in February. The latest proposal included a call for Iran to halt all 20 per cent enrichment activities and for Tehran to transfer part of its stockpile of 20 per cent enriched uranium to a third country under IAEA supervision. It also urged Iran to suspend all operations at its Fordo facility. Tehran has previously rejected such demands, resulting in crippling UN-imposed economic sanctions. Iran maintains that as a full member of the Non-Proliferation Treaty (NPT) and the International Atomic Energy Agency (IAEA), the country has the inalienable right to develop nuclear energy for peaceful purposes.